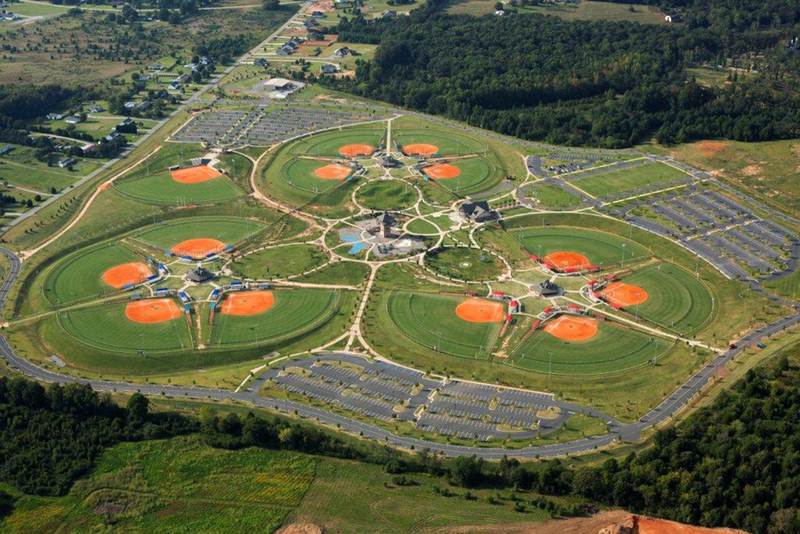 North Spartanburg Park was renovated in 2011/2012 to provide space for local league play in baseball/softball, as well as assisting in the hosting of regional and national youth sports tournaments. 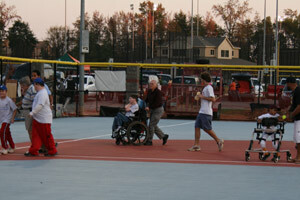 North Spartanburg Park also is home to the Carolina Miracle League, which provides sports and recreation experiences for children with disabilities. Further improvements to the park are planned, such as a perimeter exercise trail, more picnic areas, and other amenities. Fields: The primary layout of 4 lighted full-size and 2 youth fields can be easily shifted to reduce uneven wear or relined to provide additional youth or micro fields. All fields are covered with Celebration grass, an innovative Bermuda hybrid designed to produce a lush, mat-like playing surface rugged enough to withstand year-round use. Parking: A 144 newly paved parking lot overlooks the 2 playing fields. Club House: 2100 square foot modular building with handicap accessible restrooms; includes concession area, space for meetings and classroom sessions, and storage. The Old Canaan Road Soccer Complex provides eight soccer fields for youth recreation league and tournament play. Located south of the City of Spartanburg, the complex is used primarily by AYSO Spartanburg. Future improvements planned for the Old Canaan Road Complex include nature trails and a disc golf course. Located in the fast-growing Boiling Springs community, the park’s unusual name derives from the names of the families who donated land for park. The park currently contains three soccer fields, but four more will be added in 2014. The park also has 18-hole disc golf course, three tennis courts, a playground, and shaded picnic tables. The park will be the home Spartanburg County’s Northern Youth Association and will be used, in concert with other parks, to attract youth sports tournaments, including soccer, lacrosse and football. Five youth soccer fields are the culmination of the overall soccer facility plans at USC Upstate. When not being used for youth soccer events for the American Youth Soccer Organization teams and Classic Soccer organizations, USC Upstate soccer teams use the fields for practice, intramural sports, band and athletic camps, and other recreational purposes on the campus. 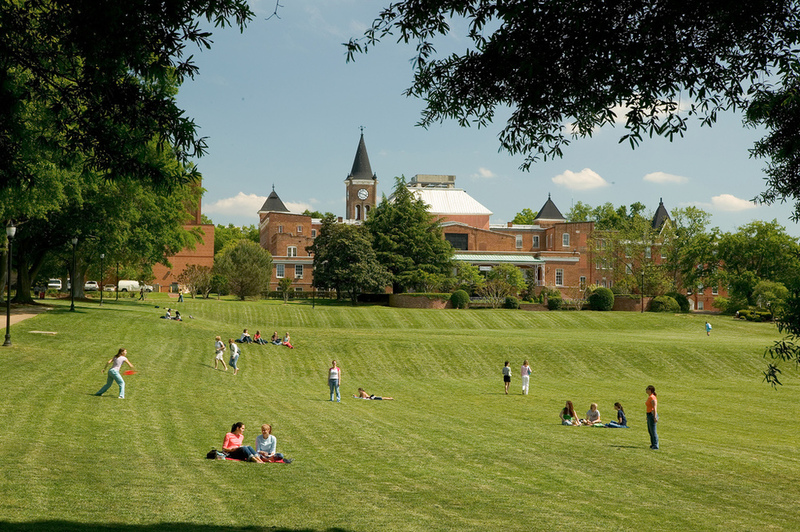 In coordination with Spartanburg County, USC Upstate is a host site for regular season games at the five youth soccer fields, exposing the campus to countless visitors from around the county. This disc golf course has 18 holes, which plays at a distance of 4604 ft. from the short tees and 7095’ from the longs. It has open holes with a lot of elevation changes, but most of the course is played through the woods. Shoally creek was recently reopened this year with some impressive course changes by Innovadisc golf. Harold Duval, the courses designer, has said it is one of the best in the state. There is still more coming with the course: a staircase on the steep 7th hole, more course signage, seeding, and landscaping. Football/Lacrosse/Soccer events are played on this state of art synthetic MONDO Ecofill MF FTS playing field. Installed in 2009 it has all weather playing capabilities and its own self contain water irrigation system to cool the playing surface during extremely hot weather. Amenities include concessions, restrooms, press box, digital wireless scoreboard with included Sportsound 1000 system, and seating for 1000. This complex is illuminated with Musco’s Light‐Structure Green Sports Lighting System. Constructed in 2009 this world class MondoTrack FTX surface is the same track surface that was used in the Beijing Olympic Games 2008 and the IAAF World Indoor Championships in Valencia. This premium custom made track has increased the optimal traction and contact area due to the irregular size and shape of the tessellation pattern and has been designed to provide the best traction between track and spikes and for a greater contact area than other track systems. This improves the athletes’ grip and performance. Track facility contains 8 world class lanes, Lynx MVP fully automatic timing system, two jump pits, pole vault, and high jump areas. This complex is illuminated with Musco’s Light‐Structure Green Sports Lighting System. A large, formal park located in the center of one of Spartanburg’s older neighborhoods, Duncan Park provides both active and passive recreation facilities, including a large lake and former minor league stadium as its two biggest attractions. This 102.53-acre community park includes mountain bike trails, the historic Duncan Park baseball stadium, a pond, walking trails, and much more. This facility houses an indoor 50meter/25yard competition pool and a 25 yard teaching and therapy pool. The 8 lanes of 50 meters and 20 lanes of 25 yards allow maximum flexibility for the program. The Middle Tyger YMCA also has a new 12-lane digital scoreboard. The facility houses one basketball court and two volleyball courts. The Thomas E. Hannah Family YMCA has a large outdoor athletic field which can be used to serve as 1 full size adult soccer field, 2 youth soccer fields, and may be used for a variety of other sports. Around the Field is a walking sidewalk that is very close to .25 of a mile. Inside we have two swimming pools. One is a 6 lane 25 yard lap pool and the other is a three lane 25 yard lap pool which serves for water aerobics and swim lessons. There is a 1.5 ft. splash pad play area a water slide as well as a circulation pool which uses an aqua vortex to pump water in a continuous current around the walking area. The basketball court is a beautiful hardwood floor and has 6 goals. Most often it is divided into two small playing courts however we also run full court games daily. Each side of the basketball court may be used for volleyball play as well and has the proper fixtures for our volleyball assemblies. Upstairs of the basketball court is a 16th of a mile indoor track with both walking and running lanes. The surface is manufactured by PLAE a premier walking track and surfacing company that provides flooring for many fitness facilities. While the outdoor field is not yet permanently lit, we do have light structures for our outdoor sports seasons. 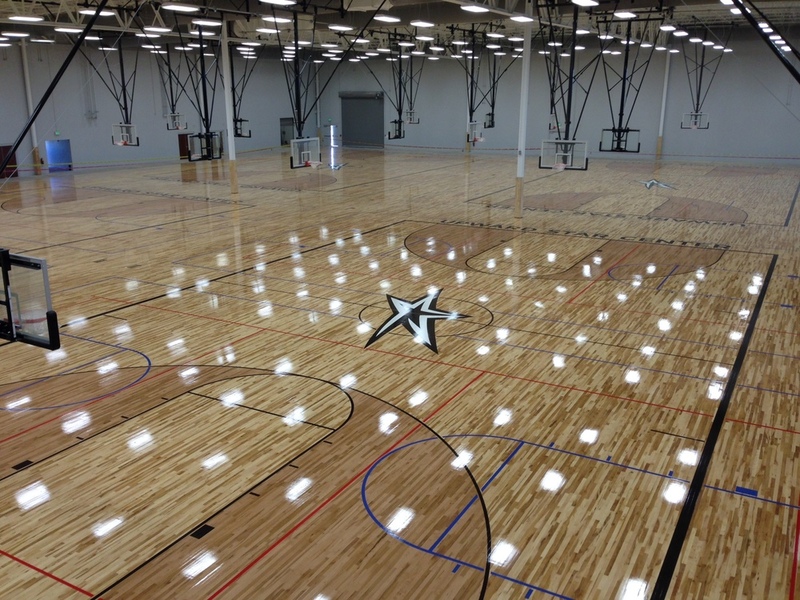 The complex will feature a 120,000 square-foot multi-sports facility called the Star Center, equipped with six (6) full sized basketball courts and 12 regulation indoor volleyball courts. Included within the facility will be batting cages, running track, a gym with free weights and cardio machines, studios designed for dance, cheerleading, aerobics and yoga, meeting rooms and a team shop. Professional instruction and training will be offered to athletes. In addition, Upward Sports has partnered with Spartanburg Regional Health Services to offer strength training, rehab offerings and orthopedic services. They will have an office on-site at the Star Center. Phase one on the outside of the complex will have four (4) lighted sand volleyball courts two (2) regulation artificial turf soccer fields and up to four (4) grass fields for soccer, lacrosse, and 7-v-7-football and flag football.